Despite the pockets of extra cash announced by the Government for initiatives like security and the Global Digital Exemplar programme, the sad truth is that the NHS is still being under funded. ‘We will put more money into the NHS, but there isn’t a magic money tree we can shake that suddenly provides for everything that people want’. It’s a comment to a nurse on the BBC’s Question Time programme that Prime Minister Teresa May might ruefully reflect upon given the anger it provoked. Salaries for some front line public sector staff like nurses have been flat for years at around one per cent per annum. 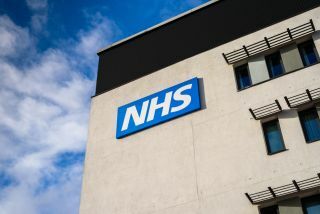 Despite the pockets of extra cash announced by the Government for initiatives like security and the Global Digital Exemplar programme, the sad truth is that the NHS is still being under funded. The King’s Fund, the well-respected independent healthcare think tank, reports that – in real terms – the Department of Health budget will only increase by 0.6 per cent on average each year from 2017/18 to 2019/2020. Clearly, this will place significant pressure on the NHS given the demand for medical services continues to increase not least with an ageing and growing population. Never has the use of money in the NHS come under more scrutiny. It was the focus of Lord Carter of Coles’ report on operational productivity and performance published in February 2016. In it, he highlighted how £5 billion of the £55.6 billion spent annually by Acute Trusts could be saved by removing unwarranted variation in the health system. Improving the procurement process is clearly a key focus given the £9 billion paid out by the NHS in England: roughly a third of this goes on goods and services, a third on medical consumables and a third on high-cost medical devices . And, the backdrop to this - as Lord Carter points out – is that many Trusts still don’t know what they buy, how much they buy and what they pay for goods and services. Inventory and stock control is woefully inadequate. A sample of 22 Trusts covering approximately 16 per cent of NHS spending revealed that - in one year - they used 30,000 suppliers, 20,000 different product brands, more than 400,000 manufacturer product codes, with in excess of 7,000 people able to place orders. The use of managed service providers in the procurement function is becoming increasingly popular as Trusts seek to deal with these issues and reduce costs, rationalise pricing, improve efficiency, speed up purchasing, minimise administration and invoice processing and ultimately try and achieve what appears mutually exclusive at first glance – doing more with less. To date, dedicated managed service providers and OEMs have been very transactional in how they have approached things. Medical equipment, associated maintenance and consumables are provided at a set price over an agreed contractual period. Savings are hopefully made with some services HMRC compliant so that VAT can also be reclaimed by a Trust which then gives them an additional 20 per cent budget boost to invest in patient care. It’s become the minimum standard expected. But the focus really is too narrow. Managed service providers and OEMs have tended to concentrate on discrete departmental areas in hospitals whether it be pathology, radiology or endoscopy rather than taking a much broader view and providing a much wider, joined up service for the Trusts they serve. o Introducing new technologies like bar coding - which ensures GS1 compliance and makes it easier to track and order of supplies – as well as integrating this with health management systems. This will allow Trusts to look forensically at what they are doing, give greater intelligence about what’s bought and enable them to really get into the detail and review the differences between consultants and what one person spends compared to another. Improvements can then be made if there is wide variability. o Design, price and deliver managed services which ultimately improve quality to the satisfaction of the CQC. And there needs to be consideration of all this given the inevitable saving targets and budget issues that will always exist in a publicly funded national health service. Take a simple example. Some molecular diagnostic examinations for C. difficile cost around £15 per test with the actual machines used priced at over £40,000. A first glance, one might discount this as prohibitively expensive and not in keeping with the current climate and drive for value for money. But test results are typically available within minutes – not weeks – which means patients don't then go onto infect others with all the knock-on huge cost of consultations, treatment and care required. It’s ideal for an A & E department. The £15 test for everyone who coming through A & E is a lot cheaper than the cost of closing five theatres for week for a deep clean if an infection is found which can cost £1 million once you factor in lost income, staffing and so on. The point is having a macro view and consideration of the broader health economics is paramount with the switched on managed service partner a driving force in looking broadly at the solution specified and its potential for long-term payoff. Put another way, transaction focused managed service providers and the internal NHS procurement masters they work for may rejoice at saving £400,000 on VAT applied to just departmental equipment and consumables. A more consultative managed service partner – with a closer eye on the wider operational imperatives – could save millions by introducing the right technology at the right price which then avoids additional patient testing, reduces consultant time, lowers the necessity for nursing care and beds, minimises drug costs and attendance at outpatient clinics. While the capital famine in the NHS might appear to make it difficult for Trusts to introduce the new services and equipment desired, innovative funding methodologies are available to address this so investment can be made in surgery, pathology, endoscopy, IT and information management, facilities and legacy medical records digitisation. Trusts can select the vendors they wish without being force fed suppliers or products they don’t want, with costs packaged using an umbrella contract and services billed monthly or quarterly over the contact lifecycle. All project costs are ‘smoothed’ with no big upfront investment therefore required. This makes Trusts much more responsive to change with some contracts actually ‘self-funding’. For example, we have just partnered with an EDMS vendor, CCube Solutions, to offer a fully managed service for Trusts seeking to shift from paper to digital medical records. All costs can be included in this such as the software, hardware and the outsourced scanning. To close a medical library and go paperless typically costs more than £1 million. Delivering this via a managed service means a Trust can close a library, quickly get rid of the paper and vans required to deliver them, redeploy or reduce staff headcount and the cash saved immediately used to pay for it. Managed services providers therefore need to offer a wide range of services that are comprehensive, flexible and link together. They need to design services in the context of the hospital as a whole and work in partnership offering true choice so that the right equipment and services are offered in the right place at the right time. And they need to be aligned to current, medium and future requirements – with flexibility in the contracts built in so that change can be catered for along the way. This means that Trusts avoid being locked into contracts which mean change is impossible and medical professionals are stuck with equipment for years that is outdated or which is a compromise. Above all, the truly effective managed service partner needs to be a strategic thinker, expert in change management, consultative and fully conversant in guiding and helping Trusts to transform as quickly as possible. Only then will the super tanker of the NHS be able to change course for the better so that magic money trees won’t be necessary let alone shaken.